Depending on how much you charge for your services and how many clients you take in at a time, learning how to get referrals could make up a large chunk of your lead generation strategy. Once you satisfy, even a handful, of your accounts—you could be getting valuable connections. Knowing how to get referrals is only a part of the picture. Most B2Bs and marketing agencies know to reach out occasionally, but very few have a process set up to automatically extract those warm leads into their contacts. There is the time investment factor and you don’t want to lose progress if your outreach is working, but the stats could surprise you. 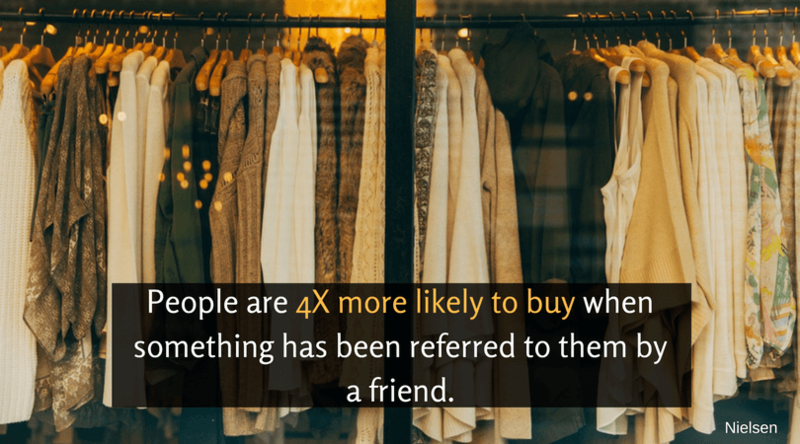 Key Stat: Research giant Nielsen says that people are 4X more likely to buy when something has been referred to them by a friend. There’s a lot of psychology that goes into the “why” of people suggesting a product or service. Basically, when someone says we should try something it makes us want to try it. Our post today isn’t about the “why”. We all know it works, but this is more of a “how” resource. What you need to do to prepare for referrals. Logistics in terms of how to get them (e.g. timing). How to set the process up to last. People want to talk about your stuff for selfish reasons. When you’re having a conversation and someone mentions a problem that you know the solution to, you want to tell them. Not necessarily to be helpful (at first), but because you have the answer. It becomes about helping eventually, but when the light bulb goes off in your head—you’re excited to have something to say. Social currency, proving your value, it’s basic human nature. Even if what you do solves a problem and your clients have colleagues who could use your services, they may not mention you. Why? When I started in content marketing, I didn’t know anything. It got me some more business from those clients, but it didn’t get me many new clients. 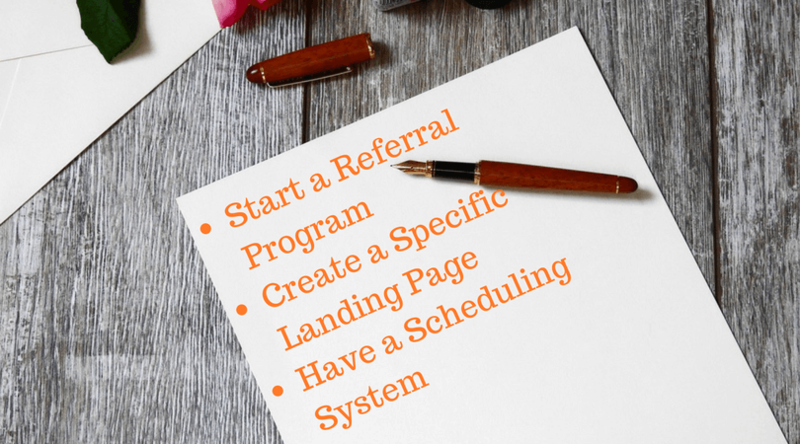 Doing this through a drip-fed email sequence over the first month of signing a new client will really get the ball rolling towards lots of referrals. When they see you offer FB ads, and they just had a business luncheon where Jane Doe said they needed to find a person who does just that, you’re one step closer to referrals. Note: Doing this is especially important for marketing agencies. You probably have drop-down menus on your drop-down menus to show all of your services. Most of your paying customers don’t know the half of what you do—yet. The other major roadblock keeping your happy buyers from suggesting your services is the logistics of doing so. While natural conversations where your services come up do happen, it’s not that often. So, getting client referrals “out of season” has to be easy enough for your accounts to want to reach out to their colleagues without a clear reason. There are a number of ways to make it easy. Start a Referral Program: Your services could warrant referrals all on their own, but incentivizing clients into referring their colleagues works well. This subject could warrant an entire post of it’s own (and may one day), but here’s a list (from ReferralCandy) of 47 actual programs in existence to get your brain flowing in the right direction. Create a Specific Landing Page: If you want these leads to be a permanent source of business, you have to devote some resources to the strategy. A specific landing page for all referrals is a nice touch to show you mean business. If you really want to get fancy, create a custom page with either the name of your lead and/or your client. (How: When a client says they have a lead, just ask who it is and send them a custom link.) Works like a digital red carpet. Have a Scheduling System: Don’t, repeat—do not—ask for a referral only to have to send a “let me check my schedule” message to the new lead. This is an egregious error, especially in the internet age. Use Calendly, or something similar to set up when you’re available and let them choose a time that’s best for them. 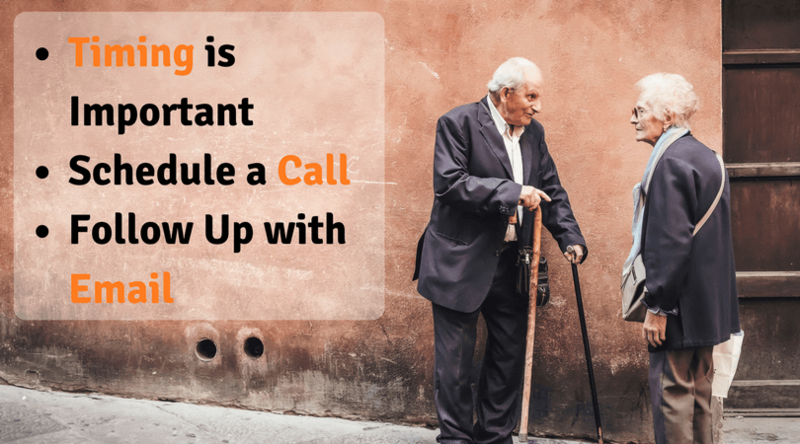 Even if you do everything you can to make it easy for your clients to refer you, they may not pick up what you’re laying down (is that still a phrase people use?). Anyway—you will have to ask most of your clients, point blank, to tell their friends. We love automation. Just about anything can be automated to a certain extent. If lead generation can be put on autopilot, every aspect of the business could be systematized to a point. That said, you will get a lot further at times with a personal touch here. I mean, they are your clients. Here are few best practices to get the most out of it. Timing is Important: There is a grace period to asking for referrals. A sweet spot to getting the news to spread. Aim for no later than 30 days after the initial sale. Ideally, your client will have seen some success from your work and still not have lost that warm and fuzzy feeling before what you do becomes the norm. When they expect the results you give, it’s less likely they’ll think about referring you. Schedule a Call: I understand this is not going to be possible for everyone. It’s also dependent upon your price to lead numbers. If a couple of leads make your week/month, why wouldn’t you call leads to make referrals happen? It’s the highest level of personalization to call, see how they’re doing and ask for their contacts. Follow Up with Email: You probably didn’t win their business on the first cold email and you won’t always get them to comply on the first attempt either. Throw a quick reminder in their inbox. You can mention your first contact, any benefits you offer for successful referrals, and what you’d like them to do (e.g. send a group email, schedule a lunch, or send them to a landing page). Keeping the referral train going isn’t just a matter of pragmatics (like the stuff listed above). There are a couple of “common sense” tips that can help you entice clients to bring their acquaintances into the fold. 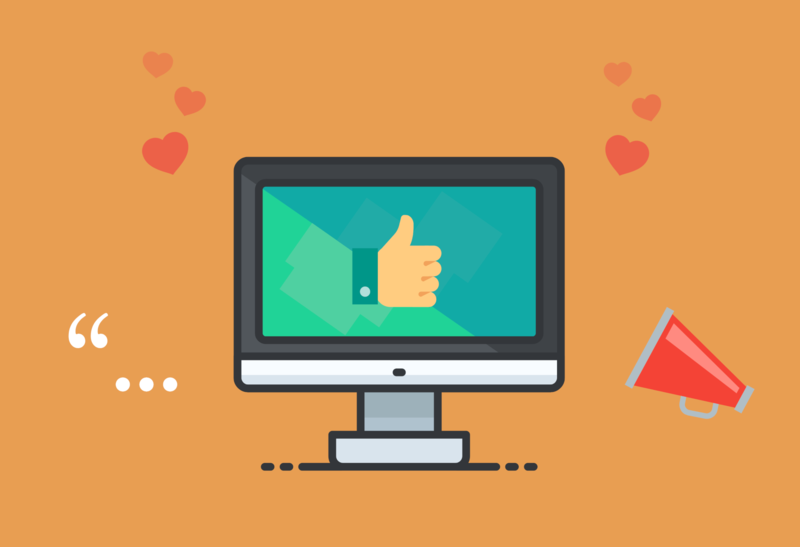 We’ll leave you with these two thoughts to really build a business of brand loyal customers. Picking an industry (or two) where you can focus your efforts isn’t just a good sales tactic, but an overall great way to establish authority in your (for lack of a better word) niche. You’re not just a marketing agency, you’re the agency that helps [insert your ideal client here] achieve [insert your unique value proposition here]. After a while of helping a similar audience, they’ll not only refer you to colleagues—you’ll be known as the best. At this point you move from referral lead generation to authority lead generation. There is no substitute for a job well done. Those who sell well, but don’t yield results will either run out of leads or reputation (whichever comes first). Providing a quality product should be the end game of everyone who owns or runs a business. Satisfaction of your clients is the only real way to ensure that you’ll have repeat business, let alone referrals. You’re only ready to use any of the tips we’ve offered in this post after you’re already delivering on your promises that you sold current clients. Without that aspect of the business in full swing, you’re customers will never suggest you to anyone else. So, even if you are running a tight ship, take some time before you run any referral program to make sure you’re over delivering. If you know that the results could be better, but you’re concentrating on customer acquisition—get off this site and get to work. 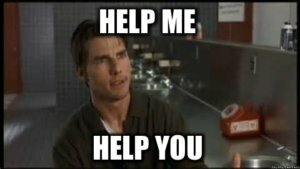 How do you go about getting referrals? Let us know in the comments below! Just found this site. Really enjoying your posts, Josh. Thanks! Thanks, Aran! Glad you’re getting value.